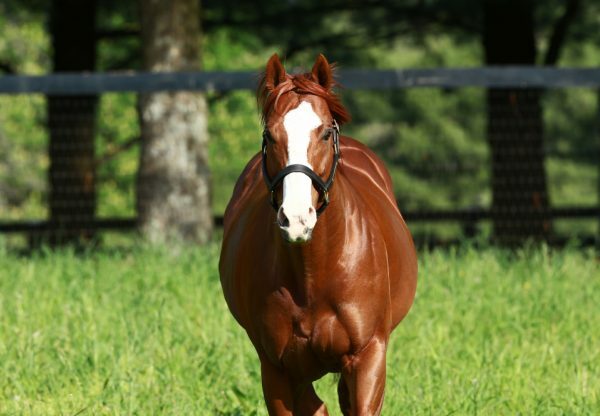 Currently leading the North American Second Crop Sires List by earnings, Munnings went painfully close to landing his first Grade I winner when his star filly I’m a Chatterbox (3f Munnings x Chit Chatter, by Lost Soldier) was first past the post in the Grade I Coaching Club American Oaks at Saratoga on Sunday only to lose the win in the steward’s room. She led and went on to gamely score by a nose in the $300,000 1 and 1/8th mile feature, but was deemed to have bumped the eventual winner Curalina in the shadows of the post. 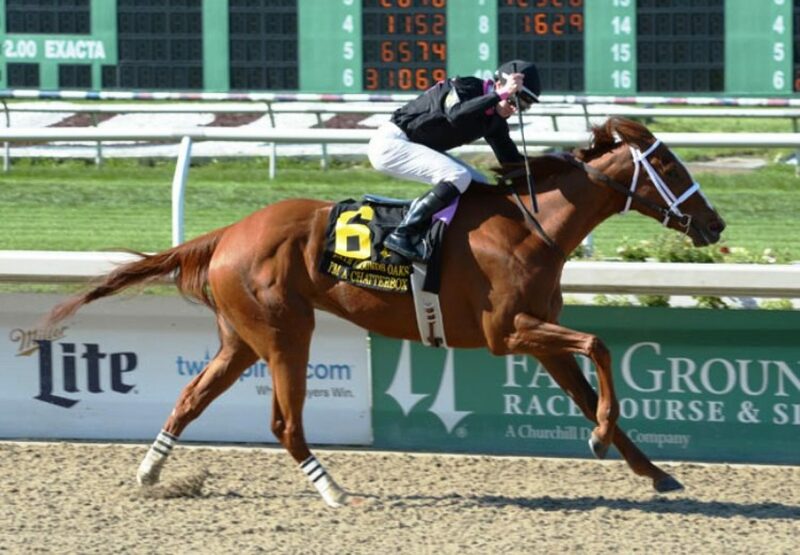 Trainer Larry Jones was proud of the effort of I’m a Chatterbox, who was a last start third in the Grade I Kentucky Oaks after posting earlier wins this year in the Grade III Rachel Alexandra Stakes and Grade II Fair Grounds Oaks (pictured). 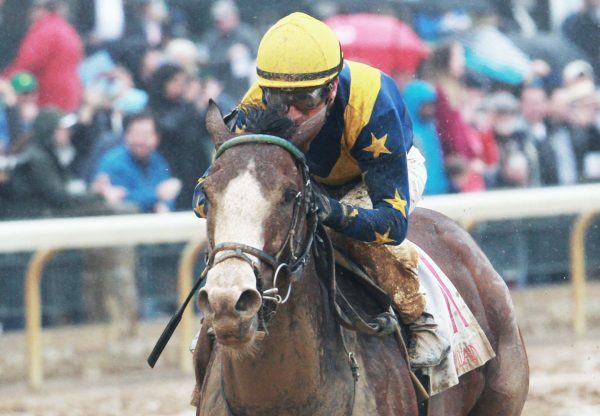 “I thought she ran very well, coming off a long layoff like that,” Jones said. “She took a little time off and was good to go. We set very legitimate fractions and, still to hold on, I’m thrilled with the horse. The jock rode a great race, he didn’t do anything to cause it. He stuck with the right hand the whole way. She kind of jumped the tracks where the gate comes across, but you need to get the horse back over somehow. That’s just the way it goes.” A homebred for Fletcher and Carolyn Grey, I’m a Chatterbox is a half-sister to two stakes-placed performers in Pegasus Again and Lady Bear from stakes-placed Chit Chatter.